The Moon is the divine feminine within all of us. 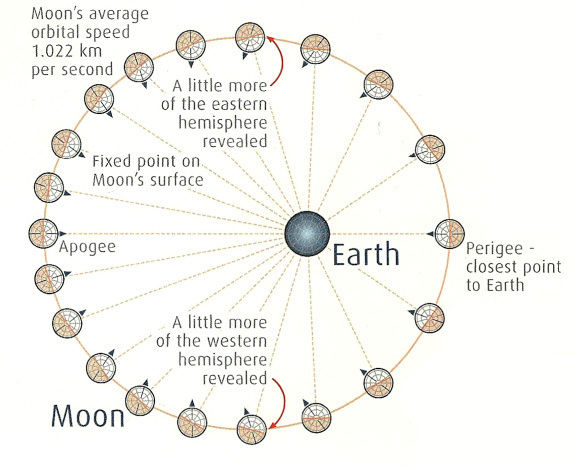 At one time, the Moon was actually a part of the Earth. That is, until an object the size of Mars came hurtling through space, hit the Earth, turned her to a molten fiery mess and scattered some of the mantle into orbit. These fragments eventually formed what is now the Moon. The face that we see on the Moon is actually made of ancient lava fields known as maria. The Moon is tidally locked to the Earth, which is why we only ever see one side. Here’s a nifty little diagram to illustrate this concept. If we imagine our solar system as a soup that changes in flavor and texture every day, the Sun would be the broth, holding everything together, and the Moon would be the spices, setting the tone for the day. Every 2-3 days the Moon transits from one sign in the zodiac to the next. At the New Moon, we launch the trajectory for the coming month. The First Quarter Moon is a checkpoint where we review our progress thus far; the Full Moon is a culmination of that which was planted at the New Moon; and at the Last Quarter Moon, we sort out what’s working and not working after the illumination provided by the Full Moon. Oh the Moon! My favorite celestial body. She rules emotions, reactions, habits and unconscious thoughts and behaviors. Your Moon sign reveals what you need in order to feel comfortable and protected. The Moon is both our Mother and our inner child. I feel her in the heart and gut. In this way, she speaks to our most basic instincts. When we are balanced in our Moon sign, we tap directly into the source of imagination and creativity. The Moon rules intuition and introspection. When you know something but can’t say what it is or how you know it, this is the Moon. When something speaks to your soul, this is the Moon. The frustration you feel when you cannot convey the true nature of your thoughts, your spirit, your essence – this, too, belongs to the Moon. Your inner Moon is longing not just to be understood but also appreciated and valued. She is the voice in your head who whispers your dreams and goads you to follow them. The Moon releases the cap on the emotions that have been bottled up within; she is the force that pulls words up from the soul and out through the mouth. Lunar energy teaches us to be receptive. There is a seat within the Self where we sit in total awareness and absorb the world around us. People and places and ideas filter into this space and are transformed, spit back out as artwork, writing, or whatever creative practice suits you. Underlying everything is a deep and abiding love for the Universe and all things beautiful. There is no time here. Wordlessness. A spaceless space. The Moon often manifests as irrationality, especially during critical phases such as the Full Moon. Feelings may burst forth spontaneously, seemingly from nowhere. Lunar energy thrives on passion and inner knowing. If the Moon is prominent in the birth chart, the Moon sign likely says more about you than your Sun sign does. For example, I was born with the Moon in Cancer, the sign she rules. This placement makes me feel very connected to the Moon and her transits. The Moon’s energy is rhythmic. We can see this in the ebb and flow of the oceans. Like the waves, we come out and up into the external world and then retreat within to reflect. Back and forth, active then passive. This rhythm also takes us from the present moment (represented by the Sun, reflecting all that is here now) to the past. Your Moon sign indicates how you feel about and conceive of your past. Excess lunar energy can trap you in the past or in the mind. The Moon is your home within. She expresses all that speaks to your deepest, truest Self. To ascertain your personal Moon sign, click here. Whenever the Moon transits your Moon sign, you experience a personal New Moon. This is the perfect time to launch new projects. The aspects of your Moon sign and their role in your life will be greatly amplified during this time.